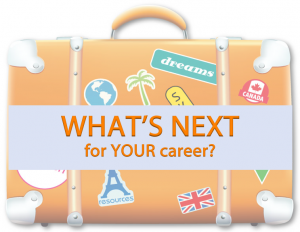 Are you stuck trying to figure out what's next for your career? 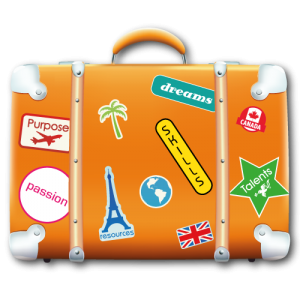 Did you leave your career behind when you first moved abroad or did it get lost in transit? Is it time to take your professional identity out of the bubble wrap? I went to discover new career opportunities but I found a new lifestyle for myself. Now, I think of career opportunities as the lifestyle that suits me best not a common job application. Life is too short not to be doing what I like and am good at and it is fine to make mistakes. That truly was my biggest gift from [A Career in Your Suitcase]. I wish for people in my network to have this possibility as well… This changes the way people look at careers in general and that is a great thing. I believe it gives people more peace of mind in their choices. 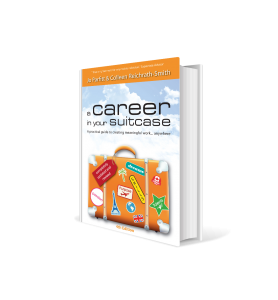 A Career in Your Suitcase gave me an invaluable framework to explore my next career move and desired lifestyle. The group program is facilitated by our certified coaches and available in person or online. The group program enriches the learning and insights, provides accountability and helps affirm and build confidence. Our coaches are certified and all have international career experience. Coaches support clients to create their own personally meaningful location independent career. Inspiring, practical and full of exercises to clarify and advice to guide. Work through it with a group of friends! A great place to get ideas, explore your options and work at your own pace. 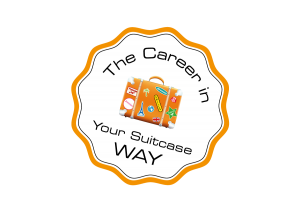 Join our live facilitated webinar to get a taste of the Career in Your Suitcase way.